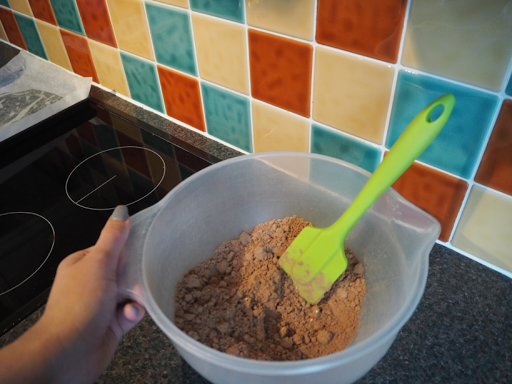 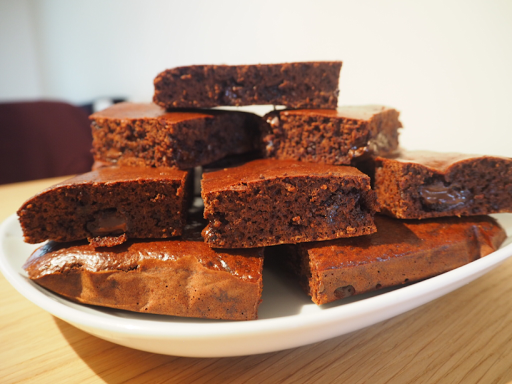 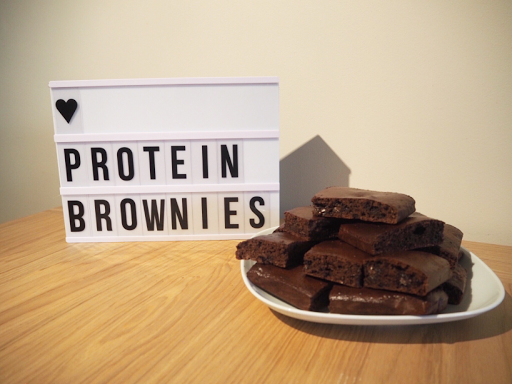 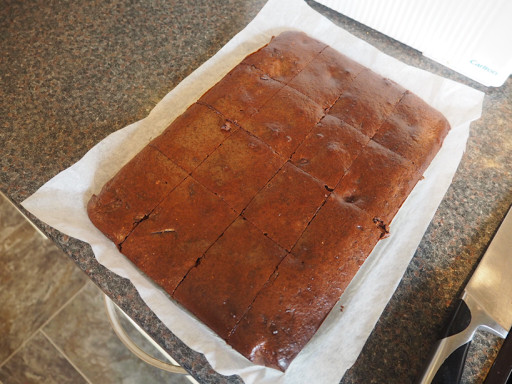 This is my own recipe for Protein Brownies, it's a simple recipe that creates lovely gooey chocolate brownies. 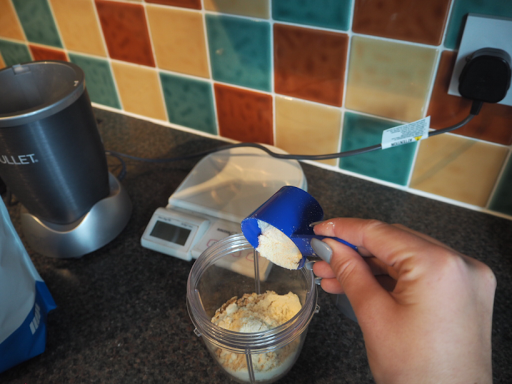 75g Vanilla flavoured Whey Protein, I use MyProtein. 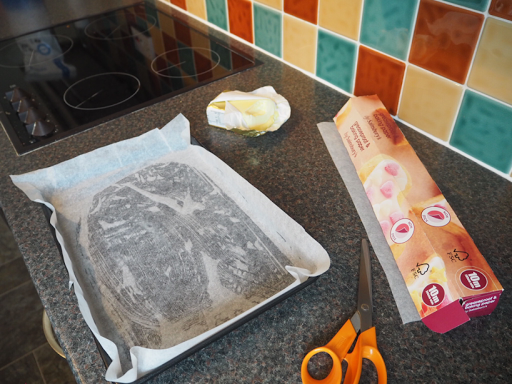 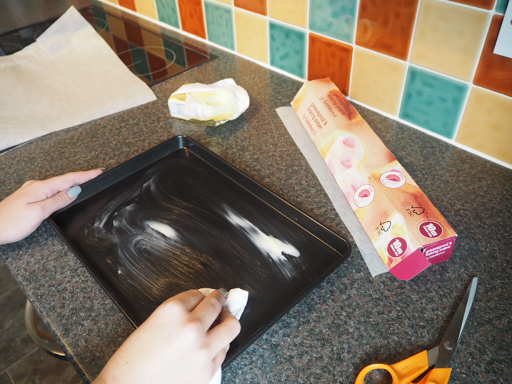 - Grease a 13" x 9" baking tray and line with greaseproof / baking paper. 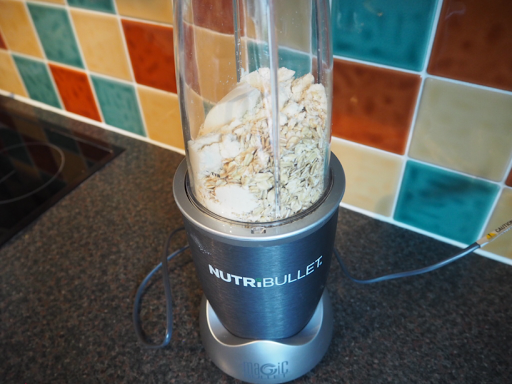 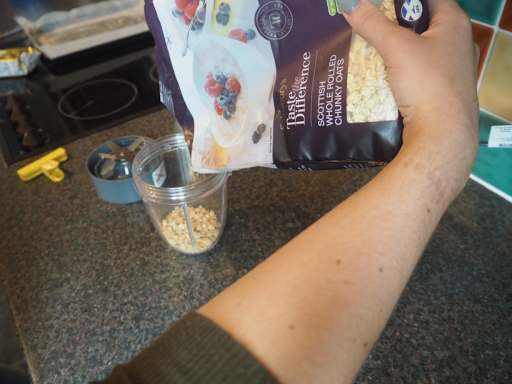 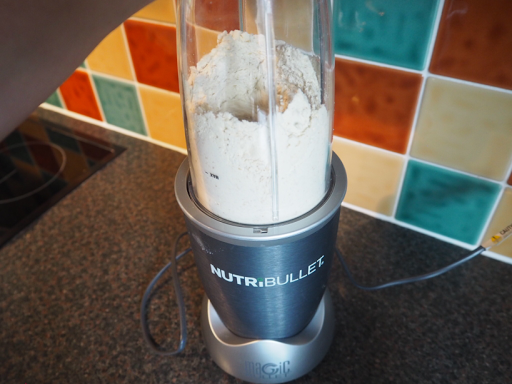 - Add the rolled oats and protein powder into a blender and blitz until flour like. 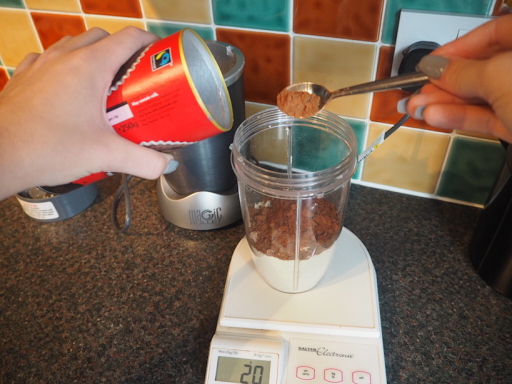 - then add cocoa powder and blend. 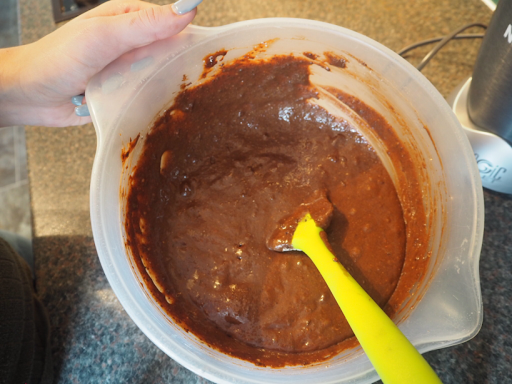 Once blitzed pour into a plastic bowl. 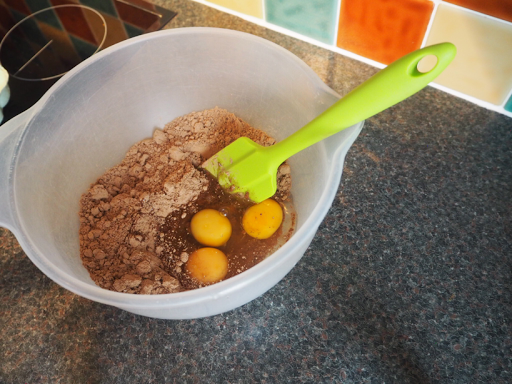 - Add 3 eggs, and mix together. 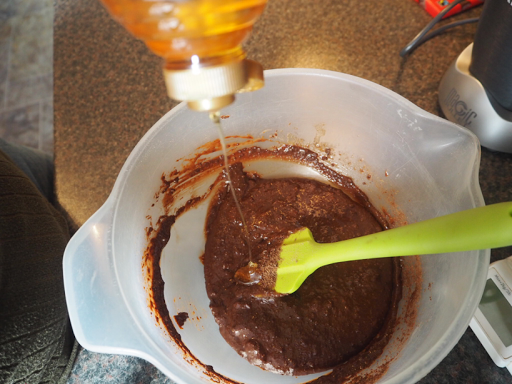 - Add the honey and baking powder and mix well. 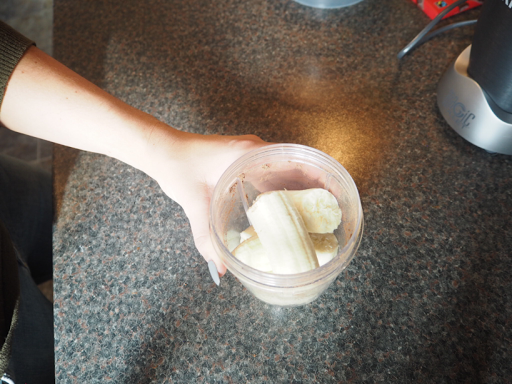 - Add two fresh bananas to your blender, and blitz till it becomes a thick liquid. 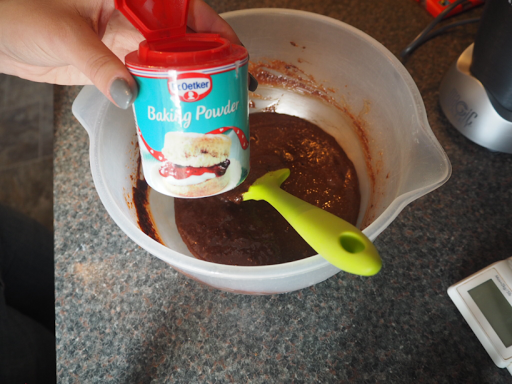 - Add chocolate chips if using. 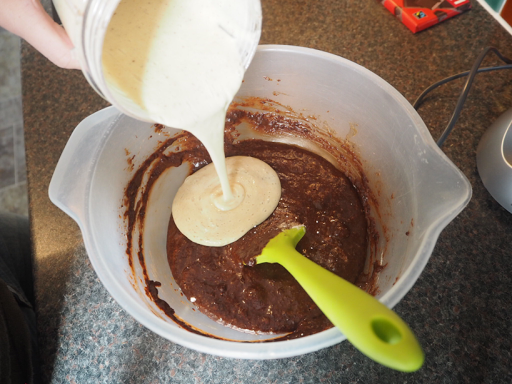 Mix well and pour into your baking tray. 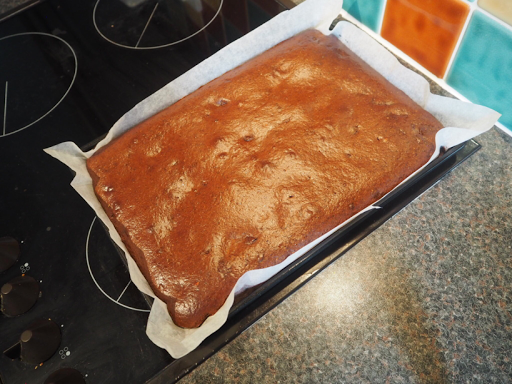 Remove from oven and allow too cool for at least 30 minutes. 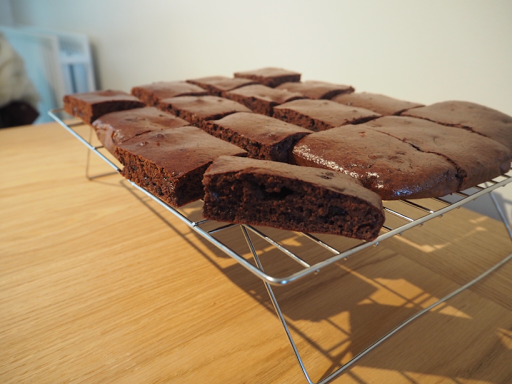 - Cut into 12/16 pieces, I choose 16 as I feel they were a good size. 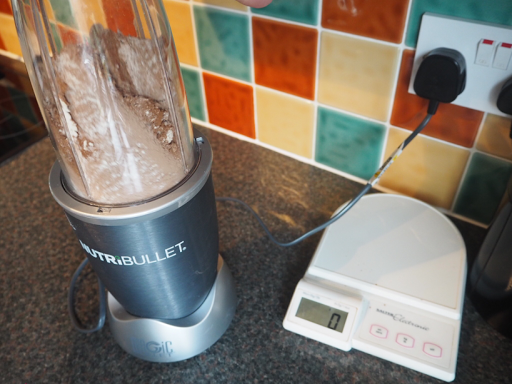 Nutritional information at the bottom of the post.